Published Sunday, October 3, 2010 by Dear Abby. Dear Abby: My dad was on the kidney transplant list for almost four years. Last week, he received a call that there was a kidney for him. As I sat in the waiting room during his transplant surgery, I became aware that two other families were in the same situation. One’s relative was also getting a kidney transplant, the other a liver. As we talked, it became apparent that every transplant surgery that evening was from the same donor. I can’t help but think of the family who lost this young man, who helped to save the lives of three people. I would like to extend my deepest gratitude to that family and to all the families who have donated the organs of their loved ones. Because of one person, my father and two other dads got a new lease on life. My plea is for people to mark the back of their driver’s license to indicate their willingness to become an organ donor. 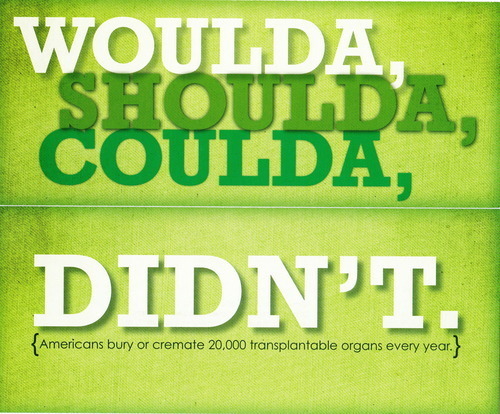 Also let your famlies know that you want your organs donated, if God forbid, anything were to ever happen. It will make the decision for them much easier. Thank you for allowing me the opportunity to speak out and perhaps save someone’s life the way someone saved my dad, whom I love very much. 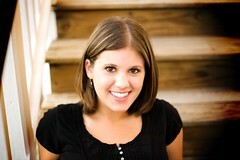 – Grateful Daughter In Owensboro, Ky.
Dear Daughter: Your letter touched my heart. I hope it will remind everyone what a precious gift each of us can give if we wish. Readers, I encourage all of you to discuss the subject of organ donation with your families. Let them know you would like to give “the gift of life” and ensure that a part of you lives on. Your generosity can make the difference between life and death for someone. Organ donation, an opt-out policy? A suburban New York City assemblyman whose daughter is a two-time kidney transplant recipient wants to flip New York’s organ-donation system on its head by presuming people are donors unless they indicate otherwise. Assemblyman Richard Brodsky’s proposal would require that people automatically be added to the state donor registry unless they opt out of being a donor when they get a driver’s license or state identification card. Other states, including Delaware and Pennsylvania, have made similar proposals, but none passed. “What I’ve said to anybody, whether they like it or they don’t like it, we can’t sustain the current system,” said Brodsky, a Democrat from Greenburgh in New York’s Westchester County. He and other advocates of the “presumed consent” donor system believe it could help increase organ and tissue donations. “People are dying in New York this week because we have failed to create a system that maximizes the opportunities to keep them alive,” said Brodsky, whose daughter, Julianne “Willie” Brodsky, received her second transplant four years ago and has become an advocate for changing the system. An April survey by the New York Alliance for Donation found 67% of state residents strongly support organ and tissue donation, yet 13% of the state’s residents 18 and older are on the Donate Life Registry, which allows individuals to give their legal consent to be an organ or tissue donor. Nationally, 37% of adults 18 and older are designated donors, according to a report card published in April by Donate Life America based on an online survey of 5,100 adults. Nearly 9,600 people in New York and 107,991 across the country needed organ transplants as of June 18, Organ Procurement and Transplantation Network statistics show. Last year, there were 423 deceased organ donors in New York and 8,021 nationwide, the group said. Brodsky said his bill to implement presumed consent, which is sponsored in the Senate by Manhattan Democrat Thomas Duane, has sparked a lot of interest, but he knows both individuals and religious groups have raised concerns. Mary Ann Baily, a fellow of the Hastings Center, a bioethics research group in Garrison, N.Y., said it’s easy to see why presumed consent would not go over well with Americans at a time when many are pushing against government control on a variety of other issues. To get traction in this country, “it’s going to take one state to sort of jump out there and show that it works,” said Arthur Caplan, a bioethics professor at the University of Pennsylvania School of Medicine, who has been working on the issue since 1983. • Legislation proposed in the Illinois Senate this year is still in committee, but there is a chance it could be acted on before the session ends in January, said Lisa Sims, a spokeswoman for Republican Sen. Dale Risinger of Peoria, who proposed the bill. • Legislation died in committee in the Pennsylvania General Assembly in 1993, said Christie Herrera, director of the American Legislative Exchange Council’s Health and Human Services Task Force. The council, a group of conservative state lawmakers, opposes presumed consent, she said. • A presumed-consent bill didn’t get out of committee in the Texas Legislature in 2003, Herrera said. The same thing happened in the Delaware Legislature two years ago, she said. Among the objections to presumed consent are a belief that physicians may not work as hard to save a potential organ or tissue donor and the government and health care systems would have too much power in a life or death situation. Physicians who conduct transplants “don’t hope for somebody to die to be a donor,” said Luca Cicalese, chairman and director of the Texas Transplant Center and surgery professor at the University of Texas Medical Branch. “There is a system that is very careful in keeping things separate and avoiding conflicts of interest,” he said. Other states with low donor-registration rates are Texas (an estimated 2%), South Carolina (9%) and New Hampshire (10%), the Donate Life America report found. A number of European nations, including France, Austria and Spain, have a presumed-consent system in place, and they have seen an increase in organ availability, said Caplan, the bioethics professor.